Instead of emphasising the Hindu origins of Muslim monuments and staking a claim over them, the new RSS strategy is to belittle their importance and denounce them so as to denigrate Muslims by suspecting their 'Indian-ness'. The Sangh parivar seems to have fine-tuned its strategy towards Muslims. Never before have its leaders acknowledged the Muslim identity of historical monuments like the Taj Mahal, Red Fort, Qutub Minar or Jama Masjid. The court, in its wisdom, admitted the petition and issued notices to the home ministry, the culture ministry and the Archaeological Survey of India (ASI) to file their replies. While the culture ministry, in November 2015, informed parliament that the Taj Mahal was a tomb and not a temple, the ASI, for the first time on August 17, 2017, admitted before the Agra court that the man-made wonder was never a temple and was in fact, a Muslim tomb. However, generations of Rashtriya Swayamsevak Sangh (RSS) cadre have been brought up on the theories of one Purushottam Nagesh Oak, a self-styled historian who had founded the Institute for Rewriting Indian History in 1964. Among other things, Oak claimed that the Arabian Peninsula was part of the Indian empire of King Vikramaditya and Kaaba was originally a Hindu temple. He wrote many books of which Some Blunders of Indian Historical Research became very popular. In this book, he claimed the Qutub Minar was, in fact, an astronomical observation tower called Vishnu Dhwaj or Vishnu Stambh and that the Red Fort was a palace built by a Hindu ruler. He summed up the crux of his historical vision in these words: “All medieval mosques and tombs in India are conquered and misused Hindu palaces and temples. Thus, Mohammad Ghaus’s tomb in Gwalior, Salim Chisti’s mausoleum in Fatehpur Sikri, Nizamuddin’s qabar in Delhi, Moinuddin Chishti’s makbara in Ajmer are all erstwhile Hindu buildings lost to Muslim conquest and use.” It is not difficult to see a correlation between this approach and the one that resulted in the demolition of the Babri mosque in Ayodhya. However, such claims end up making the Hindutva forces a laughing stock in the eyes of the world because they are too preposterous to deserve serious academic consideration. Even a passionate Hindutva-loving writer like Koenraad Elst has described such claims as being “fanciful and totally unfounded”, ruing that contrary to his expectations 20 years ago that the star of Oak would wane, his popularity seems to have increased manifold. Elst has no reason to feel surprised when Prime Minister Narendra Modi himself markets such “fanciful and totally unfounded” claims that there was plastic surgery, stem cell research, inter-planetary spacecraft etc., in ancient India. The project undertaken by Oak’s Institute for Rewriting Indian History has been taken over by state and central governments run by the Bharatiya Janata Party. The most glaring example has been provided by Rajasthan where the state government has decreed that history textbooks will henceforth show Maharana Pratap as the victor in the battle of Haldighati, even though that happens to be a flagrant travesty of history. The demonisation of Aurangzeb has been followed by the vilification of all Muslim rulers and rejection of their contributions – even contributions of those like Jahangir and Shah Jahan. Their mothers – Rajput princesses – are being described as “foreigners”, “oppressors” and “anti-Hindu”. In short, history has become a servile handmaiden of politics. However, the RSS seems to have tweaked its strategy a little bit. Instead of emphasising the Hindu origins of Muslim monuments and staking a claim over them, the new strategy is to belittle their importance and denounce them in order to denigrate the Muslims by suspecting their ‘Indian-ness’. 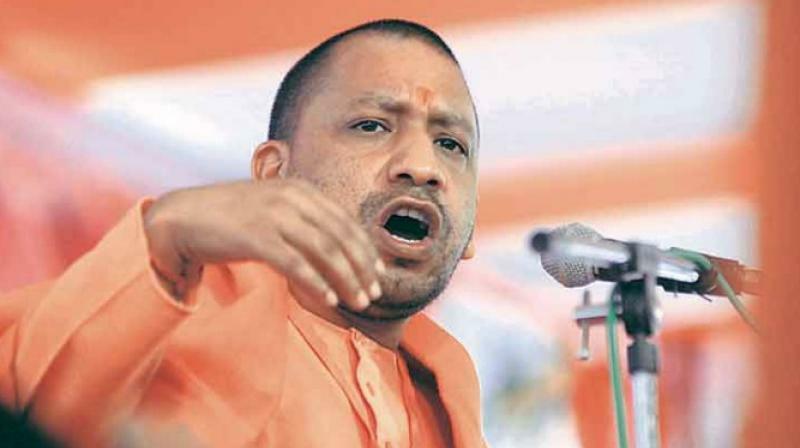 Uttar Pradesh chief minister Adityanath, infamous for his rabble-rousing anti-Muslim speeches, fired the first salvo when he described the Taj Mahal as not “Indian enough”. Speaking in Darbhanga in Bihar on June 16, he was reported to have said: “Foreign dignitaries visiting the country used to be gifted replicas of the Taj Mahal and other minarets which did not reflect Indian culture… This is the first time this has happened that when India’s Prime Minister Narendra Modi goes abroad, or any foreign president visits India, he is gifted the Shrimad Bhagavad Gita or the Ramayan”. Early this month, there was news that the UP tourism department had removed the Taj Mahal from its booklet Apaar Sambhavnaen (Limitless Possibilities) that contained information about places of tourist interest in the state. Its emphasis on Hindu religious places was very obvious as its cover had a picture of Ganga aarti of Varanasi and highlighted the religious and cultural importance of the Ardh Kumbh Mela in Allahabad. It also promoted Ayodhya as the birthplace of Rama and Mathura and Vrindavan for its connection with Krishna. The Gorakhpeeth in Gorakhpur, headed by Adityanath, was also mentioned in the booklet. One is in the dark about the number of tourists who visit the Gorakhnath temple while official data tells us that the Taj Mahal happens to be the biggest revenue earner of all the historical monuments frequented by Indian and foreign tourists. Later the UP government claimed the booklet was meant to highlight those monuments around which new schemes had been launched. BJP MLA Sangeet Som’s recent outburst is directly related to the deletion of Taj Mahal’s name from the UP tourism department booklet. It is evident that Som seems to have no idea of Indian history. His world vision has been shaped by the RSS. Justifying the deletion of Taj Mahal’s name from the tourism booklet, he confused Shah Jahan with Aurangzeb and said the builder of Taj Mahal imprisoned his father, targeting Hindus of Uttar Pradesh and India. He said such people should not find a place in history. 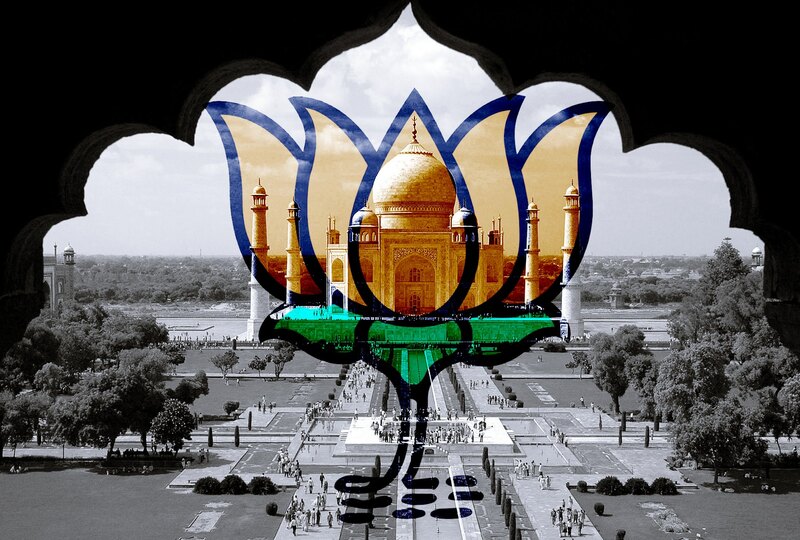 While trying to distance itself from the Taj Mahal controversy, the BJP, in effect, endorsed Som’s views. The party’s national spokesperson G.V.L. Rao said that the period when India was ruled by Muslim kings was one “of extreme exploitation, insane barbarism and unprecedented intolerance to the other faith”. In another damage-control exercise, Adityanath has said that it does not matter who built the Taj Mahal. It was built on the blood and sweat of labourers, all of whom were Indians. However, he did not utter a word about the character of the monument and how Indian or un-Indian it was. Hindutva forces have always followed the colonial school of history. British colonial historians very cleverly periodised Indian history into three segments: Hindu, Muslim and British (not Christian) period. So, a tendency gained ground to view the pre-British history of India through the lens of Hindu-Muslim antagonism. Therefore, it is no surprise that the Hindutva forces have always been fiercely anti-Muslim, but not anti-British. The RSS and Hindu Mahasabha spent all their energies in organising and mobilising the Hindus against the Muslims in pre-independence India and kept themselves away from the anti-British freedom movement. Their ire was directed solely at the Muslim community. Meanwhile, if the Taj Mahal is to be shunned because it was built by a ‘traitor’, how can Modi address the nation on Independence Day from the ramparts of the Red Fort which was built by the same man? And, were the parliament house and the Rashtrapati Bhavan not built by foreign rulers? Should they too be boycotted? There are indeed apaar sambavnaen (limitless possibilities) in such a project. 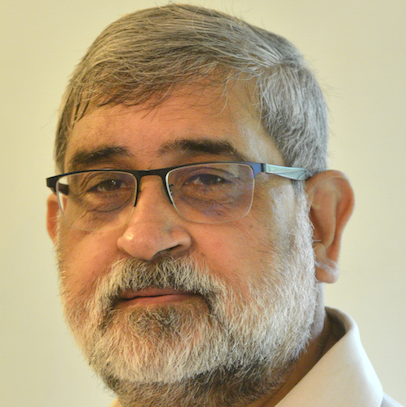 Kuldeep Kumar is a senior journalist who writes on politics and culture.